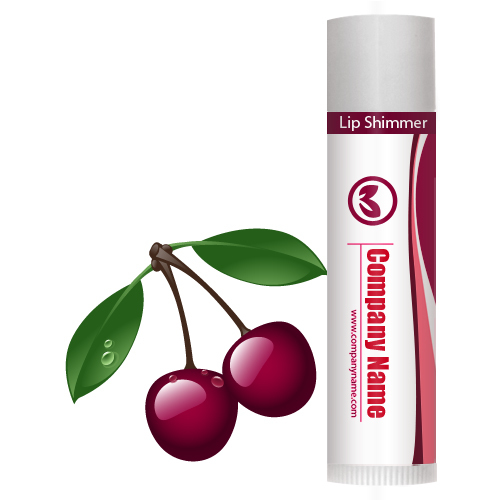 Custom cherry lip shimmer w/ white tube cap evokes crisp, ripe and juicy scent of cherries and spreads shiny charm over lips. This lip balm enhances texture of lips and heals the lip tissues impaired by weather. This lip balm boosts spirits of user with its enchanting charm. Health Quotient – Cherry flavor included. PABA free. Sweetened with saccharin. Formulated FDA approved skin conditioning and moisturizing ingredients. Animal Cruelty- free. Harsh product manipulators avoided. Directions – Rub cherry lip balm generously over bare lips or along with lip make up. Avoid using it over face as a skin toner or skin healer. Discontinue the usage if any irritations arise. Gifting Favors – Custom cherry lip shimmer w/white tube cap make a perfect gift for wooing women and children. It can be handed over to them during some promotional events or it can make a great wedding favor, too.